Posted on 04/01/2015 by Jeremy Bailey	in Around Town, Stars and Bars and tagged baseball, Beer, Bluejacket, Festival, GBD, Nationals, Opening Day, Red Apron Butcher, Washington Nationals. 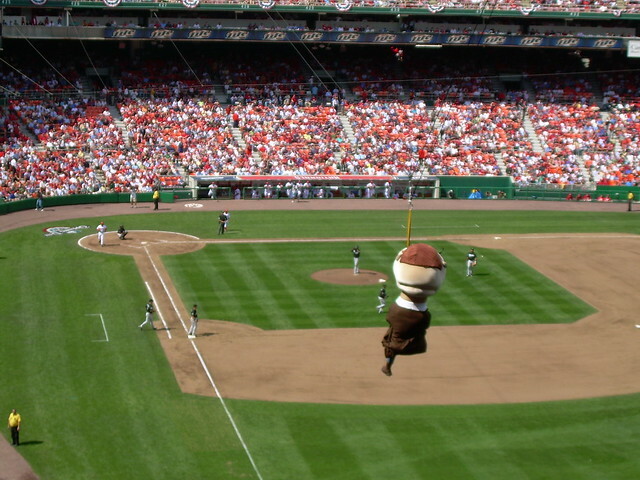 Monday, April 6, marks the glorious return of Major League Baseball and the Washington Nationals. Has it really been 5 months since Game 7 of the World Series? Did the damn Giants really win it all again? The Nationals have bolstered their pitching staff to such a degree, they have to be the odds on favorite to make the World Series this year. Seriously; Strasburg, Zimmermann, Scherzer, Fister and Gonzalez…this will be a fun year. Especially if Bryce Harper finally comes into his own at the plate. Let’s celebrate. On a school night. Bluejacket is here to help. They are hosting a free Opening Day Fest from 11:00am-4:00pm at Lot O, next to Yards Park and the Trapeze school, on Monday, April 6. Note: The Nationals opener against the Mets starts at 4:05pm. There will be a batting cage, a fast pitch booth, corn-hole, live music and some family friendly games. Bluejacket will offer eight of their beers. This includes two new ones, Goldfinch (a hoppy Belgian blond ale) and Swirl (a sour strawberry brown ale). I don’t know how I feel about Swirl yet, it sound both amazing and unlikely at the same time. Let’s find out. There will also be food, like burgers, sausages (from Red Apron Butcher), and brioche doughnuts and fried chicken sandwiches (from GBD). Okay! It is free to enter, but the food, drinks and games will cost between $7-10. You can also buy a package deal in advance, which includes games, food and beer.